This first book in the Tales Behind the Veils series chronicles the wacky personal and professional misadventures of wedding planner Tyler Warren. Tyler wants to believe in the fairy tale endings her job promotes, but her clients seem more crazily ever after than happily ever after. When her own attempts at romance play out as bizarre comedies rather than love stories, Tyler starts to think Prince Charming either fell off his horse or got eaten by a dragon. Whether she’s getting insane requests from brides or outlandish requests on dates, you’re sure to be charmed and entertained by the Diary of a Single Wedding Planner. 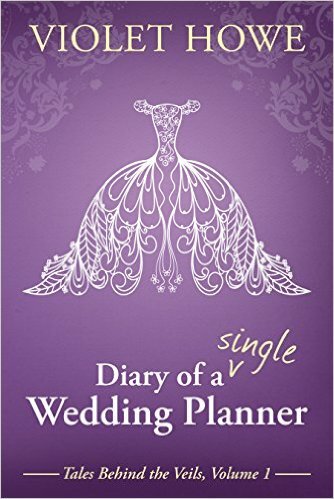 Diary of a Single Wedding Planner is available as an ebook exclusively on Amazon. Paperback copies can be ordered via Amazon or online book retailers such as Books A Million, Barnes and Nobles, etc.